Are you guys going to be testing more wheels? I'd personally like to see some Enkei wheels tested, preferably 18x9.5 in any of the wheels they make for our cars. 32mm on all pistons according to our digital caliper. 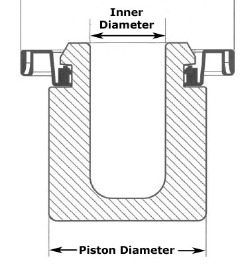 Pistons are not tapered. Yes, the calipers you see are the OEM PP calipers that we purchased from our local Subaru dealer. The tie bar and bolts were also purchased from the dealer. Otherwise, we've added the DBA rotors we sell on our Subispeed side for STI application as well as STI application pads to complete the kit. OE lines can be used on these calipers, so any SS line that is offered for the twins should work as well. Any aftermarket SS line kit currently available should work. So the pad shape for the front is FMSI D1001 / D1016 / D1050. 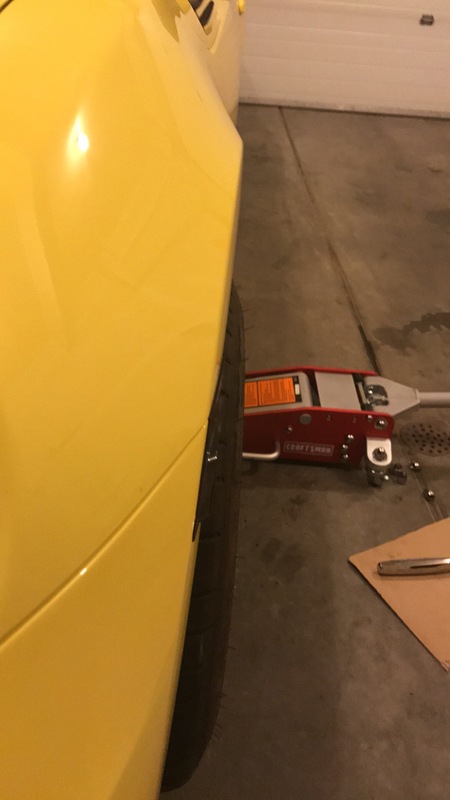 What is the FMSI for the rear? Last edited by jamal; 09-22-2017 at 02:26 PM. Any chance you'll try the te37v sl 17x9 +36 / 17x9.5 +40 for clearance? Really interested in picking up a set from you guys. Thanks! Otherwise, we've added the DBA rotors we sell on our Subispeed side for STI application as well as STI application pads to complete the kit. OE lines can be used on these calipers, so any SS line that is offered for the twins should work! 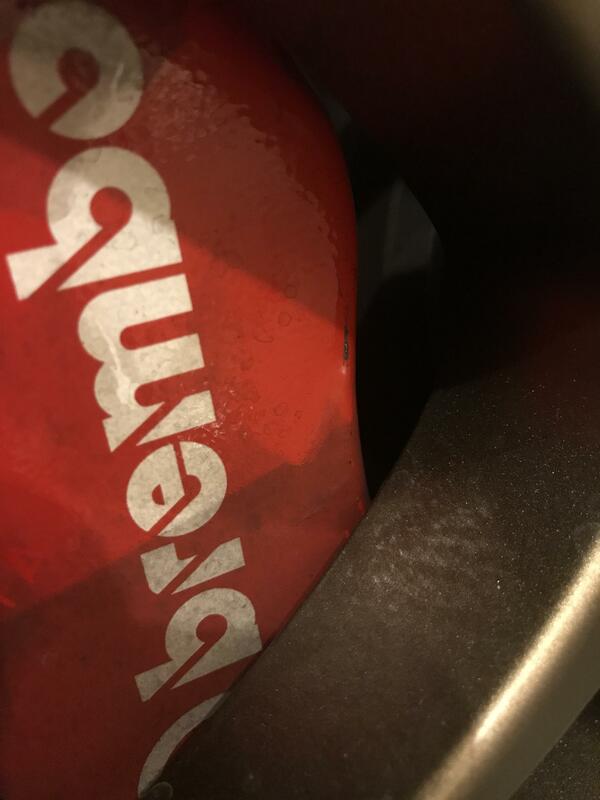 Man, the combination of the PP Brembos plus this bolt pattern make it so hard to find good wheels that fit without spacers... I've been trying to find the right wheels for awhile and I've basically narrowed my search down but may have to go back to the drawing board if this won't work. Would this fit at all? Thanks for your time, hope to hear back from you soon! Last edited by Daemonomics; 10-08-2017 at 09:47 PM. All Enkei RR wheels in 18"
What is the weight on the GRAM LIGHTS 57DR WHEELS 17X9 +38MM? Also were guys able to fit any other wheel options for the 2017 BRZ w/ performance package? I LOVE these pads, very little dust, Great stopping power for the street. Rotors smooth as glass. 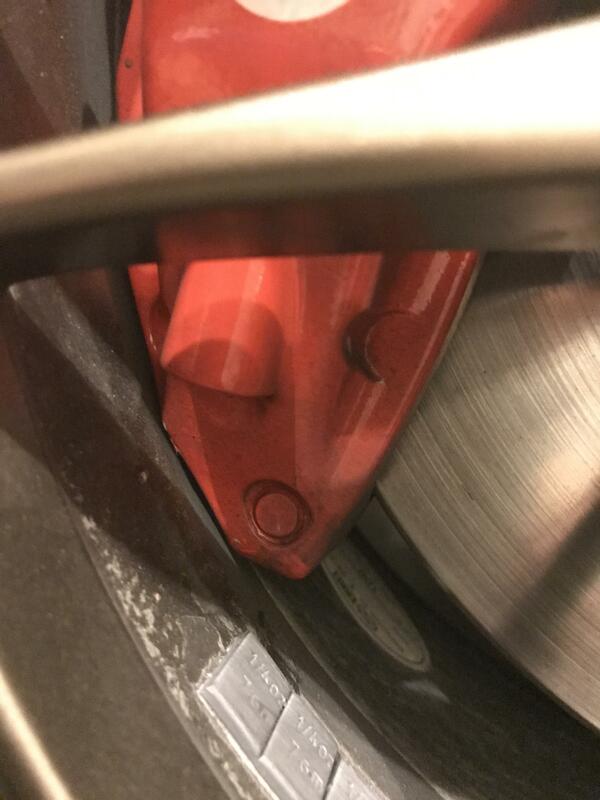 Had Hawk Ceramics on my 2013 BRZ Limited for 52,000 miles and they were half way worn. $180. The lugs are from FT-86 SpeedFactory.....the frosting on the cake! 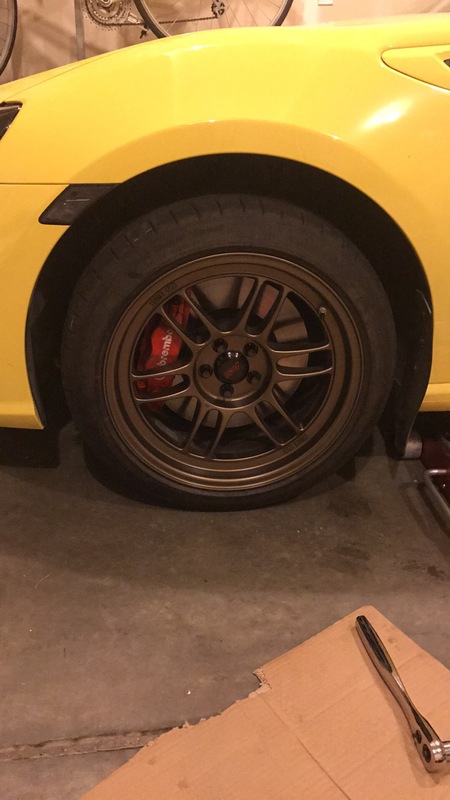 Anyone think they Wedssport TC105n in 17x9+35 would clear these brakes? Anyone know if the series blue sti wheels 17x7 +48 will clear the OE brembos?